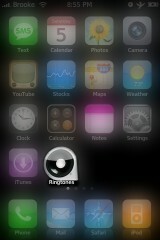 I have been messing with the update to Ringtones for a while now and do not see any drastic visual changes. I know the developer is having some issues with SkrewCommon (which is now needed for both the vWallpapers and Ringtones apps). So, it might be an update trying to fix that issue. Let me know in the comments if you see any visual changes that I missed! 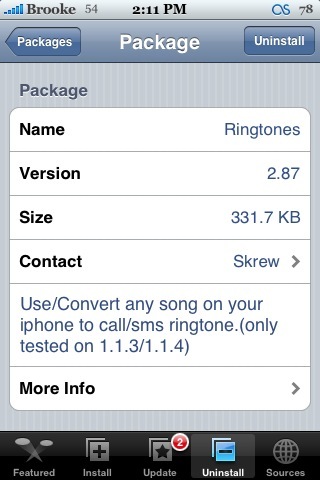 Ringtones is available through the Skrew source. YES!!! This finally works!! 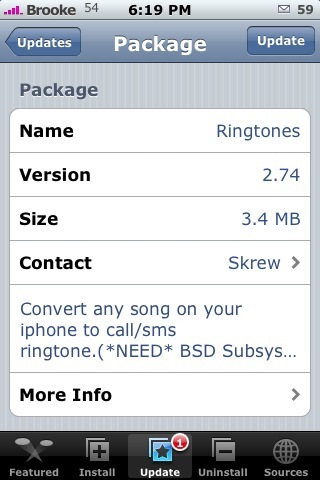 I updated to version 2.83 of Ringtones and was disappointed because it still didn’t work. So, I decided to try uninstalling it, restarting my iPhone, reinstalling it and restarting my iPhone after I reinstalled it and it worked! 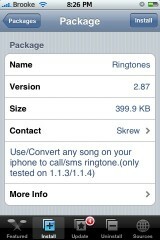 Now, I am able to use the Direct Ringtones feature. I went in and Enabled Ringtones, selected Kelly Clarkson from my music library and then selected the song Because of you. 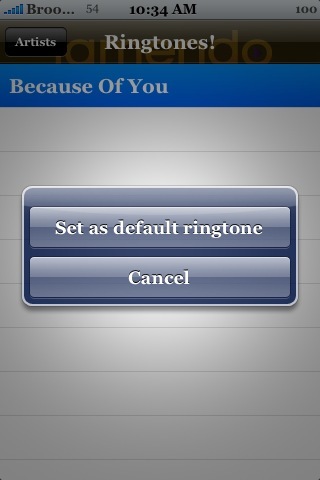 I then got a pop-up with two options; Set as default ringtone and Cancel. 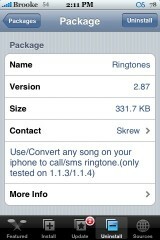 When I selected Set as default ringtone it just went back it the song list. I was like…huh, I wonder if that worked. So, I hit my Home Button and then something I most definitely did not expect happened.